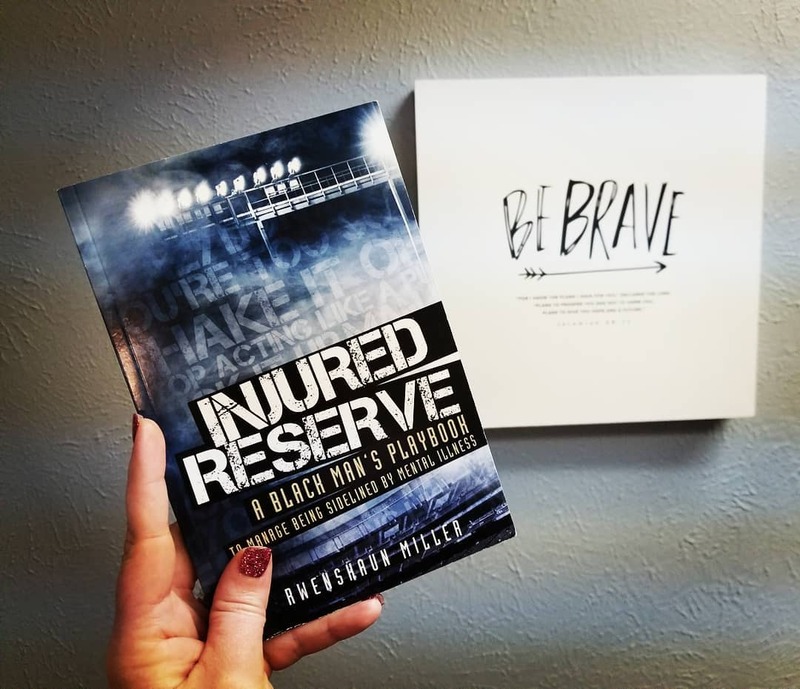 Injured Reserve is part memoir part resource guide. Rwenshaun Miller tells the story of his struggle with bi-polar and suicidality while teaching the reader about signs of mental health issues. This is a much needed book because Black men are some of the least likely to receive adequate mental healthcare. Injured Reserve is perfect for those not quite ready to seek help or those on the journey towards healing. Injured Reserve is an easy read that can be readily applied. Each chapter ends with a list of self-evaluation questions and a space for the reader to work through their responses to the story. Mr. Miller is honest about his own experience and the symptoms he has worked through. He is insightful about what led up to breakdown and also about the racial issues he faced when getting care. I would have preferred more references at some points. There is a list of resources such as NAMI or National Suicide Prevention Lifeline at the end that would absolutely be helpful for some readers. However, I would have liked to see him end with instructions for his reader to find a therapist and the academic in me wishes that he used more outside sources. Injured Reserve is written to Black men who struggle with mental illness. It is a great resource for clients who are concerned with the stigma of counseling or mental health challenges in general. I also think this book is important for clinicians who work with people of color. Only 2% of APA members identify as Black or African American so issues of cultural competence cannot be ignored. In this book, Rwenshaun Miller explores many of the cultural narratives that made it difficult for him to get help or to connect with some clinicians. If you want to learn more about the state of mental health care in America for people who are Black or African American, click here.